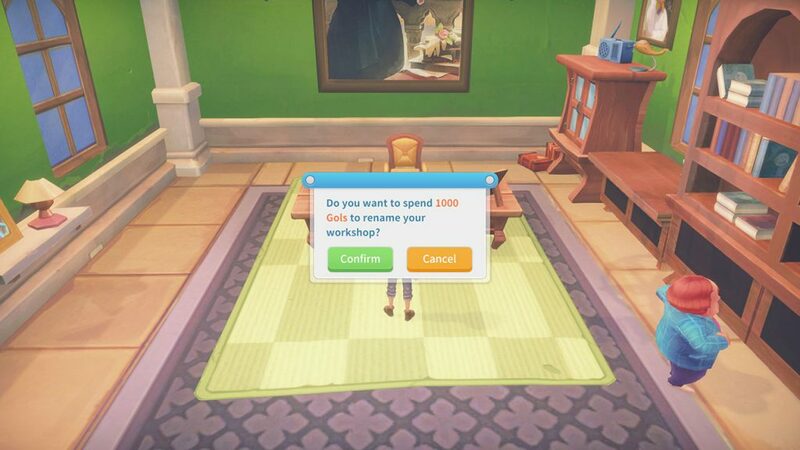 In My Time at Portia, you are given the task of naming your workshop as you progress through the missions. The main place this will be displayed is above the front door of your hut. On the off chance that you haven’t named your workshop yet, make sure to change it to something suitable, as changing it later will cost 1000 Gols, which are the in-game currency. Below, we have a quick guide showing where you can change the name of your workshop. Whilst we’ve got more guides for My Time at Portia, which are available here. 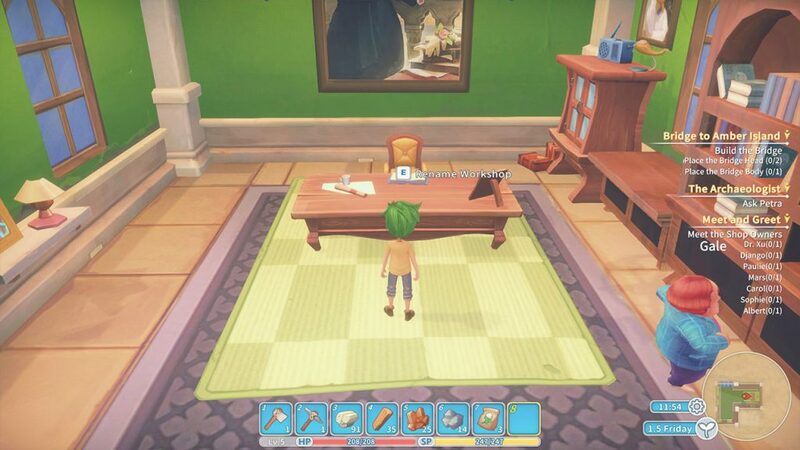 You will need to visit the Mayors office, who can be found in the main plaza. You may have to progress through the starter missions and actually meet the mayor before the option is possible. By hovering over the mayors desk, the option to ‘Rename Workshop’ becomes available, which you can do by pressing E on PC. You will be given a prompt, asking if you want to spend 1000 Gols on changing the workshop name. Obviously, this is quite a lot of money in the early part of the game, so make sure you choose the right name.